The retail industry employs about one in four Americans today, making it the nation’s largest employer. * Among the fastest growing sectors, retail is also one of the most evolving, with talent demands shifting to satisfy an expanding digital economy. 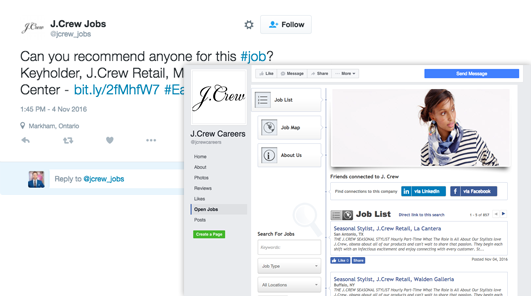 How are you staying ahead of the changing demands of retail recruiting? Retail staffing continues to face some of the toughest talent challenges: the extremes of seasonal hiring, rampant and high turnover, and fierce competition for skilled labor across all levels of the organization. Compounding these challenges are the effects of an industry adapting to the rise of online retailing, digital marketing and media, and the emergence of the gig and sharing economy competing for temporary staff and seasonal hires. As the retail industry evolves, so do the desired skills of its workforce. With more retailers embracing an omnichannel approach, their talent demands expand beyond the brick-and-mortar shop's sales associates and store managers to include candidates skilled in information technology, loss prevention, marketing, finance, merchandise sourcing, and more. To attract this wider candidate audience, retail companies must actively build and protect their brand through new talent channels in order to compete for the best people. 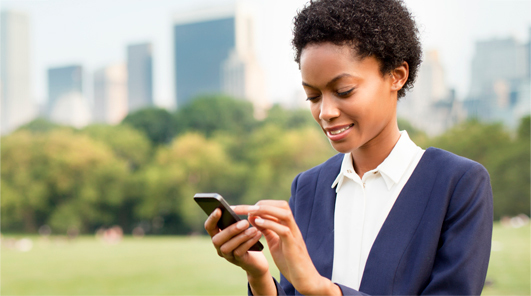 CareerArc provides robust talent solutions to tackle retail’s toughest challenges. Built to leverage your social media and online presence and drive talent acquisition and employer branding ROI, CareerArc proudly serves as one of the leading retail hiring and staffing solutions on the market. Your next job candidate can likely be your current customer, and vice versa. CareerArc’s holistic approach helps you retain both by reinforcing your brand at critical stages of the candidate and employee experience. 91% of retail brands use two or more social media channels for their consumer brand. 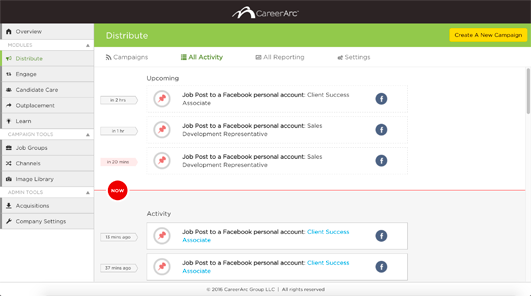 * CareerArc unlocks the potential reach of your existing social networks to serve your employer brand through automated, search-optimized social job posts that engage your followers and candidates to share, like, and apply. Finding new, local talent has never been more interactive with interfaces like our Facebook Career Tab and our Job Map which direct attention to your nearest job openings and turn passive candidates into eager applicants. *Sources: Job Openings and Labor Turnover Survey, Bureau of Labor Statistics (BLS); The Changing Face of Retail Trade, BLS; 91% of Retail Brands Use Two or More Social Media Channels, Adweek. We made four hires through Facebook alone within the first few weeks...Once CareerArc showed us what was possible through social recruiting, we sensed it would be the slingshot approach we needed to beat the big-box giants at acquiring top talent. When you decline an applicant, don’t lose a potential customer. Protect consumer and employer brand loyalty through CareerArc Candidate Care—the only career assistance platform designed to end every candidate experience on a positive note, encouraging your applicants to reapply, and your guests to return. Transform Facebook and Twitter followers into applicants with our award-winning social recruiting solution that auotomates the distribution of your open jobs to today’s social, mobile candidate. Want to get your recruiting, HR, and marketing teams involved? 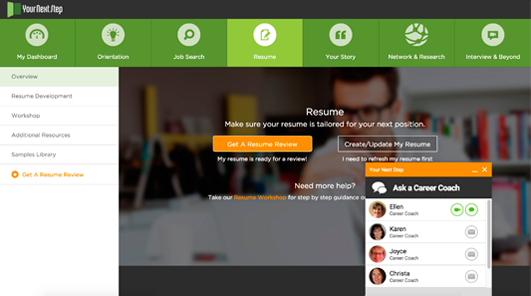 The CareerArc Platform was devloped for collaborative teams. Create and manage multiple user accounts and permissions to focus team members on the platform features most relevant to their roles. Deliver meaningful candidate experiences, power social recruiting campaigns, and manage outplacement benefits all in one place. Designed for collaborative teams of many, or powerful teams of one, the CareerArc Platform is a complete Software as a Service (SaaS) solution that combines online jobs distribution, real-time tracking, and robust reporting capabilities all within one intuitive platform. Hiring a variety of roles for multiple retail locations? 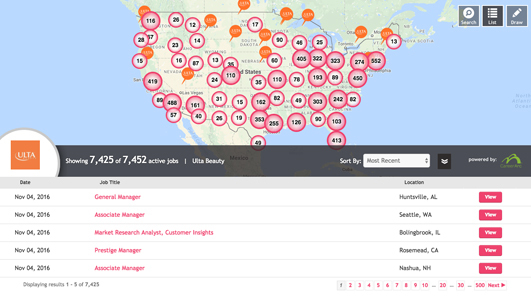 Our interactive Job Map transforms your store locations into branded beacons of open jobs, directing local candidates to job opportunities near them. Relocations, closures, and expansions are common in retail. However, your employees, and likely their friends and family, may also be your current or future customers. Protecting your brand during organizational change is crucial to securing repeat business and repeat applicants. 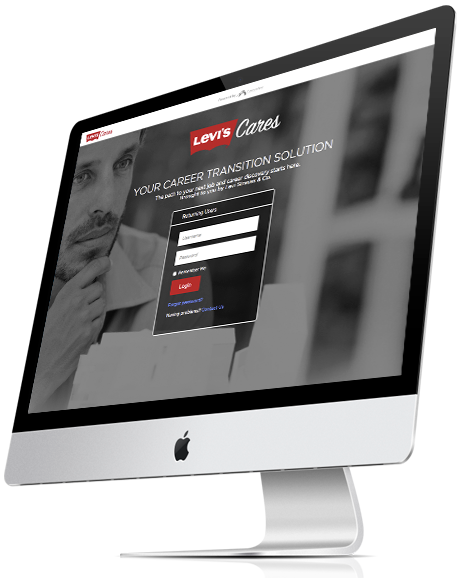 Offer each employee CareerArc Outplacement—the career assistance solution that ensures your people leave your company with their best foot forward, and you leave your employer and consumer brand intact. New to social media? No problem. Rely on your dedicated CareerArc Client Success Manager who will guide your every step in developing custom campaigns, analyzing performance metrics, and identifying key areas to push your talent initiatives to the next level. "Our measured cost-per-hire for CareerArc-sourced recruits is now tracking at 89% less than the national average CPH." 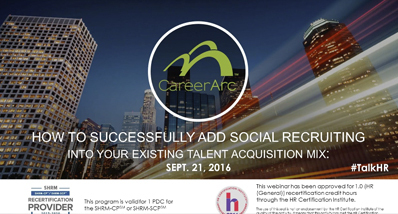 "We quickly saw how CareerArc could impact both our recruiting and employer branding efforts. But what we didn’t expect was how social recruiting would also improve our social media marketing results... Job posts are now one of our highest drivers of paid traffic; they consistently perform better than ads promoting products and services." Turn your Facebook followers into applicants and brand advocates. 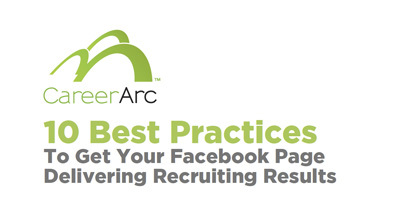 Learn these 10 best practices to start recruiting on Facebook today. 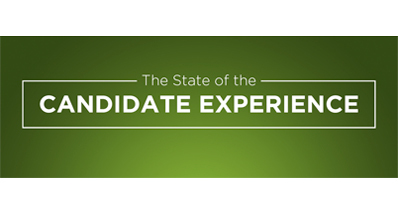 Discover what applicants really want from their candidate experience. We surveyed 1200 professionals and found overlooked opportunities to deliver a memorable applicant journey that wins over the best talent. Discover how Follett Corporation successfully adopted a social recruiting strategy that engaged local college students on social media and boosted campus store applicants and hires.